Keeping in mind the diverse requirements of our clients we are offering an extensive range of Heavy Steel Fabrication Works. Our highly skilled professionals use best quality material in completion of these services. Offered services are highly demanded in market due to its high durability and reliability. Besides, our services are executed in timely manner and are cost effective. We hold experience in manufacturing and supplying various types of industrial plant equipment such as pharmaceutical equipment, pollutions control systems and much more. Apart from this, we have been dealing in material handling equipment and hand pumps. 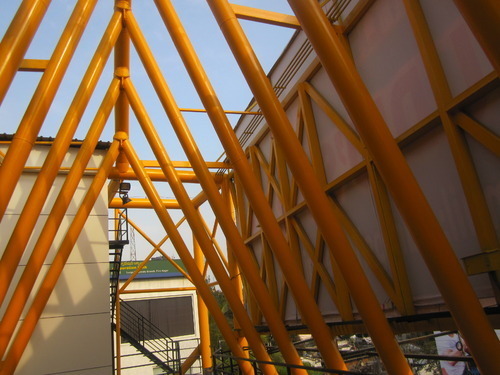 Owing to our extensive experience in heavy steel fabrication works, we are able to design and develop products as per industrial specifications in various standard sizes and dimension. These products are demanded by various heavy work industries and are widely appreciated for their sturdy construction, dimensional accuracy, corrosion resistance and optimal performance. With our dynamic management strategies and highly experienced workforce, we have productively completed many projects on turnkey basis. Our hi-tech infrastructure is an asset to the company and helps us to complete projects in a time-bound manner without compromising on the quality of our products.